The Chanler Group's clients have identified various home décor products, including pillows, ottomans, curtains, and picture frames, that contain the flame retardants Tris(1,3-dichloro-2-propyl) phosphate (“TDCPP”) and Tris(2-chloroethyl) phosphate (“TCEP”), lead, and/or the phthalates di(2-ethylhexyl)phthalate ("DEHP"), butyl benzyl phthalate ("BBP"), and Di-n-butyl phthalate ("DBP"), all chemicals known to the State of California to cause cancer, birth defects, and reproductive harm. Over the past year, the media has focused on the presence of flame retardants in furniture padding and other household products. TDCPP and TCEP are widely used flame retardant chemicals and plasticizers that are found in both rigid and soft polyurethane foam, plastics, and fabric backings. 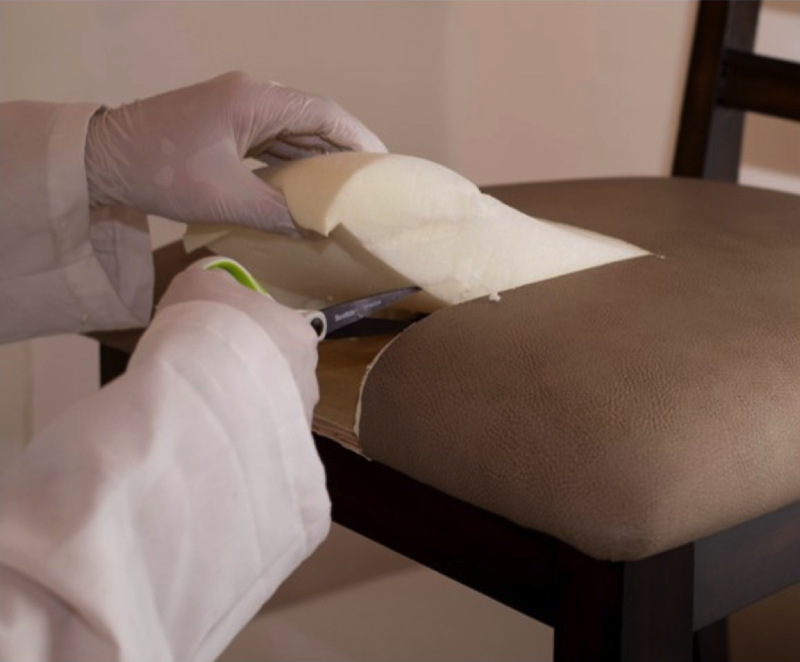 Because they do not chemically bind to the furniture backing, over time TDCPP and TCEP escape from the padding and attach to dust and other household items, creating unwanted human exposure. Both TDCPP and TCEP have been identified by California as chemicals known to cause cancer. Phthalates are "plasticizers," substances added to plastic components and materials in consumer products to increase their flexibility, transparency, durability, and longevity. Phthalates have been recognized as major indoor pollutants in homes. Along with their usage in kitchen and bathroom products such as spatulas, placemats, and shower curtains, phthalates are widely used in building and furniture materials, including furniture upholstery, coverings, and décor. BBP in vinyl flooring is of particular concern to The Chanler Group's clients. BBP is commonly used as a plasticizer for vinyl foams, which are often used as vinyl flooring. The risk of exposure to high levels of BBP through vinyl flooring is elevated for several reasons. First, indoor air concentrations of BBP tend to be higher than outdoor air concentrations. It is also the case that many of us walk around our homes without foot coverage, such as socks, shoes or slippers, and the floor is a common surface on which young children crawl, which increases direct dermal exposure with the floor. This is also associated with increased hand-to-mouth exposure for children. As a neurotoxin, lead negatively affects the nervous system in both adults and children. Research has shown that repeated exposure to lead cumulatively affects the developing nervous system and, over time, can lead to attention deficit, learning disabilities, short-term memory loss, behavioral problems, and diminished intellectual ability. Children under the age of six are the most at risk of developmental problems stemming from lead poisoning, due to their frequent hand-to-mouth behaviors and small body size. To review legal agreements which The Chanler Group's clients have reached with companies that sell furniture, home decorative, and household products, please see the cases below. Vinocur v. MW Industries, Inc.